Around the time Jim and Carol Bicking found out they were expecting twins was when Jim started to get sick. OMAHA, Neb. 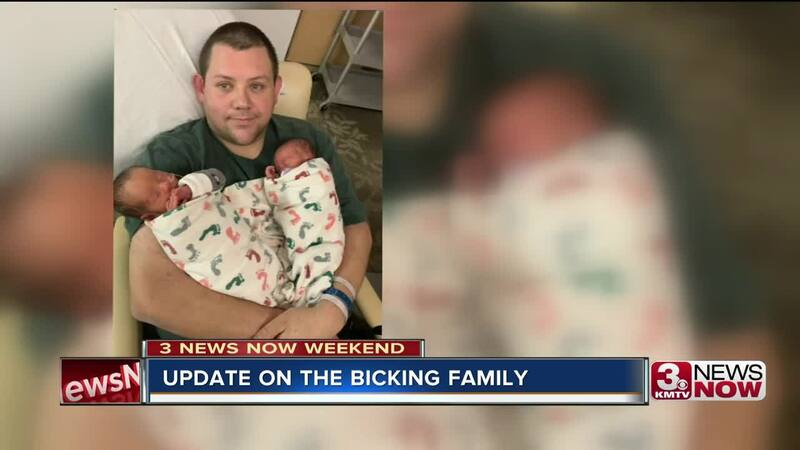 (KMTV) — UPDATE: Carol Bicking gave birth to twins Kolton and Kendall Monday. Thursday Jim Bicking had another procedure for his heart. "They went in through a vain in my leg and up into my heart and did pressure readings in my heart and my lungs and then they placed a little device that sorta looks like a pill in my heart and it takes pressure readings," said Jim. He will have another check up in about one week from now. Until then the family is looking forward to the twins coming home. Especially older brother Cody, "they are very cute," he said. Around the time Jim and Carol Bicking found out they were expecting twins was when Jim started to get sick. 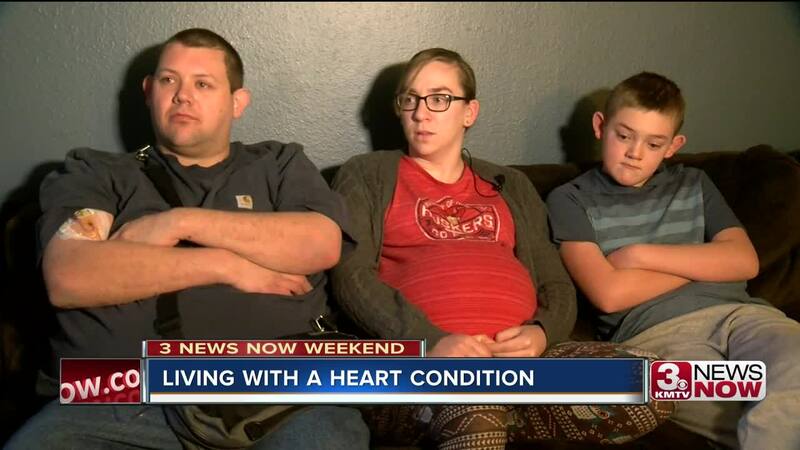 "My previous heart condition I had when I was a kid came back and I didn't know it and it's only working at between 17 and 20 percent," said Jim Bickering. Jim was treated for a heart condition at 17. His heart was enlarged and stopped beating and pumping like it should. The average person's heart usually beats 65% to 70%, three times more than Jim's. Last October Jim's condition came back. "It started with pneumonia and I started coughing up blood at work and later that night I decided to go to the hospital," he said. Two weeks after Christmas Jim was released from the hospital with a permanent IV and a defibrillation. All so that he could be home for the birth of his twins. 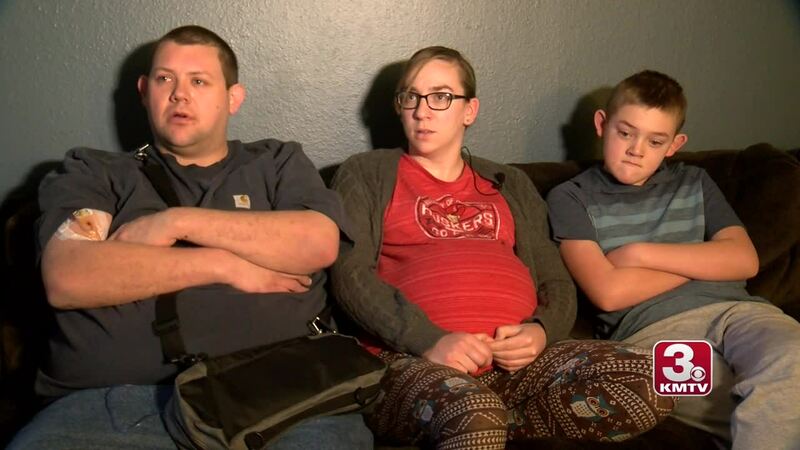 "We went with fertility treatment and used a lot of savings on that and it eventually worked, we're expecting twins here in three weeks," said Jim wife, Carol Bicking. Jim said this treatment isn't a permanent solution for the problems with his heart. He will eventually need a heart transplant, he currently isn't eligible to be on the list due to his weight. And if he doesn't get on the list Jim will miss not only his twins growing up but also his 10-year-old son Cody. "I don't wanna be gone, I don't want to miss them growing up," he said. To help the Bicking's click here.